Are you looking for an environmentally friendly way to rehabilitate your pipes and prevent wasteful and expensive water leaks? Here at Nu Flow, we offer trenchless pipe rehabilitation, which is an eco-friendly way to rehabilitate your Chicago plumbing system. The epoxy pipe lining process does not create any waste that needs to be recycled or transported to a landfill. This is because your existing pipes are left in place. Instead of removing them, an epoxy liner is inserted in the pipe and left to cure or an epoxy coating is blown through the pipe to seal pinhole leaks and restore function, which means that by choosing trenchless pipe lining, you are finding an eco-friendly plumbing solution for your water pipes. Epoxy pipe liners and epoxy coatings do not create any carbon emissions during the manufacturing process, which means it is a green plumbing system solution from manufacturing to installation. This means it does not contribute to greenhouse gasses that are known to trap heat inside the Earth’s atmosphere. As metal pipes age, they start to corrode, which can lead to heavy metals, like lead and copper, leaching into your drinking water supply. Epoxy liners and coatings are designed to prevent chemical leaching by completely covering the inside diameter of the existing plumbing pipe, which prevents water from coming into contact with the metal. Once an epoxy liner has been inserted into a freshly cleaned and prepared host pipe and left to cure, it becomes the “new” pipe. This helps prevent further leaks and pipe breaks so that you can enjoy optimally functioning plumbing pipes and clean water for decades. Broken and leaking pipes and water-using appliances waste one trillion gallons of water each year in the United States, according to the EPA. Epoxy pipe liners and coatings help stop leaks by preventing further corrosion and deterioration in the host pipe, which can save you money on your water bill while preventing water waste through leaks and pipe breaks. If you are looking for a way to turn your old, deteriorated plumbing system into a green plumbing system, we may have the solution for you. 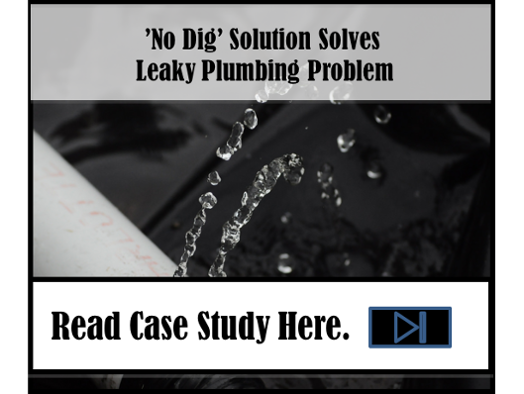 Our trenchless, environmentally friendly pipe rehabilitation solutions can help you restore your existing plumbing pipes without cutting through your drywall or jackhammering your floors. Our pipe restoration method involves accessing your pipes through existing cleanouts or by creating a small hole that will allow us to access the pipe that needs to be restored. This is much less costly and messy than traditional pipe replacement. Not to mention, replacing your pipes means taking the old ones to the landfill, which is not eco-friendly. The pipe lining process is fast and safe for your drain lines and potable water lines, and once the epoxy has cured, the pipes are just as durable as new plumbing pipes. We also offer a 10-year warranty on all our epoxy pipe lining services. 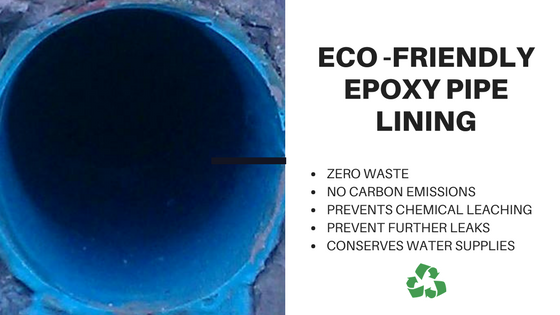 To learn more about how epoxy pipe lining can provide you with an eco-friendly way to repair and rehabilitate your pipes, call us at 815-790-9000.